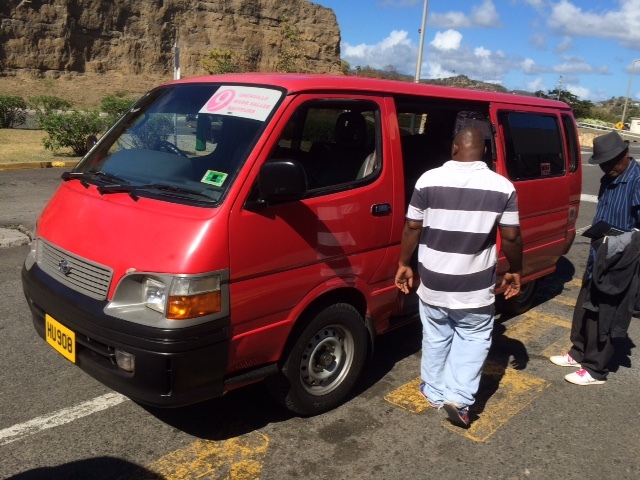 F or 2015 I decided to go back to Grenada as we had investigated a number of possible new sites on the north shore of the island close to the town of Sauteurs. This map on the wall in Sauteurs, it’s the red bit, shows where I ended up. 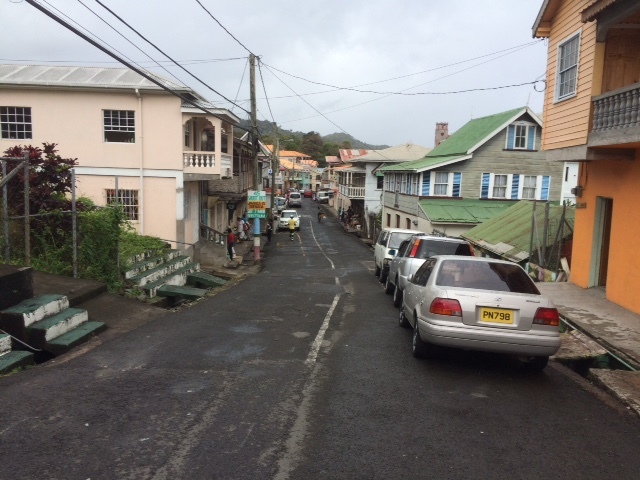 Sauteurs is a small town , very typical of ‘old’ Grenada and a long way from the capital St Georges. The deep drains show that from time to time it rains really hard. The island is very verdant due in part to the volcanic soils but also to the rain and the high temperature ( 28C+) most of the time. 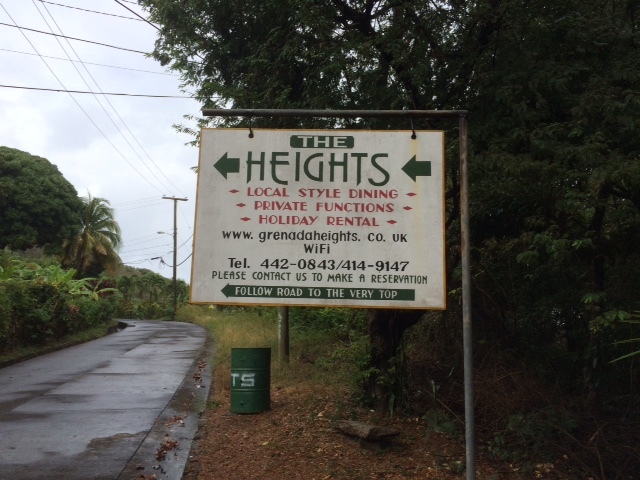 The Heights is owned by DJ and Harriet George who also have a cottage on the site which can sleep 2 or p erhaps three people. Because of the elevation there is a steady cooling breeze which kept the temperature down, well still around 30C, and more importantly, kept the mossies away. Having a bar restaurant right there made things very relaxing and I was able to have a proper dinner. The cottage has a clear horizon from 315 through north to 132. J8 Islands are at 60 and ahead is 83. 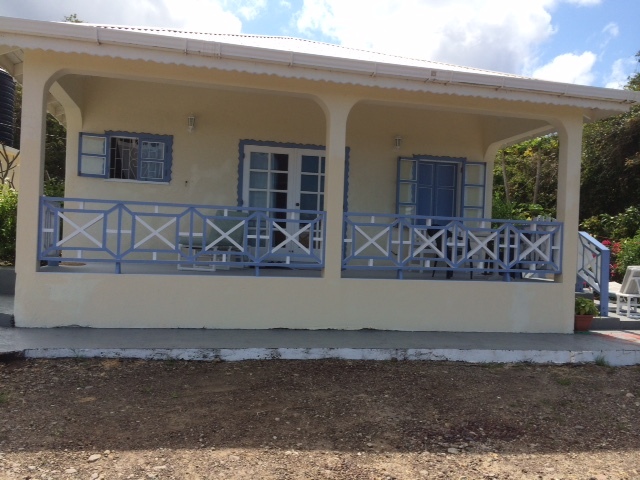 The open space to the front of the villa is used as a car park. I planted my Butternut HF6 with 10 radials just on the edge. I had thought when I visited last year that I would attach the Butternut to a fence post and have a fully elevated radial set up but that would have made it tricky to adjust. In the end I didn’t loose much height as the ground slopes so steeply. I had packed the insulators for the Butternut inside one of the tubes and when I tried to get them out I found that they had jammed inside but with the application of some WD40 and a hammer, DJ and I manged to drive it out. The st ation was a very simple set up, basically a KX3, a small home made 100w amplifier with a Microham USB keyer. It all looks a bit more complex when it was spread out on the couch before assembly as you can see. After a bit of tuning around it was pretty clear that the external noise floor was very low, in part I suppose because there were no close houses or industry premises. Although everything worked fine when I tested it on the Friday before the contest within a few minutes of starting it was clear I had a strange keying problem. From time to time the keyer locked up. Despite fitting ferrites everywhere it proved very difficult to find the source. In the end I disconnected the entire station and then reconnected it all and the problem vanished. Some poor earth connection somewhere. 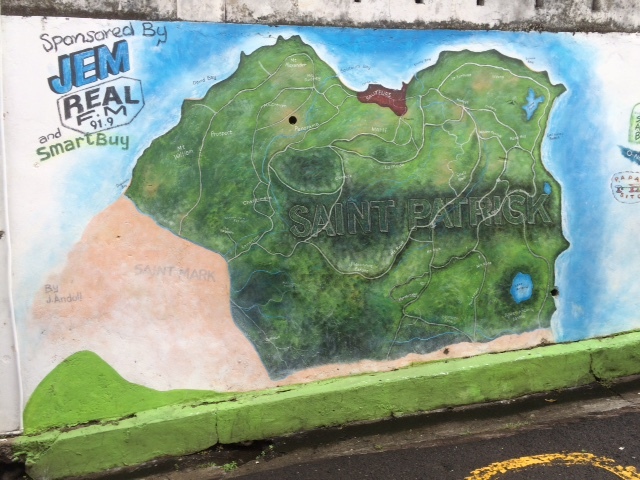 At the start 80m was very quiet with little band noise at all, very fine, as normally in the tropics, Grenada is 12 degrees north, you have often have to put up with a lot of bad static crashes and bangs. 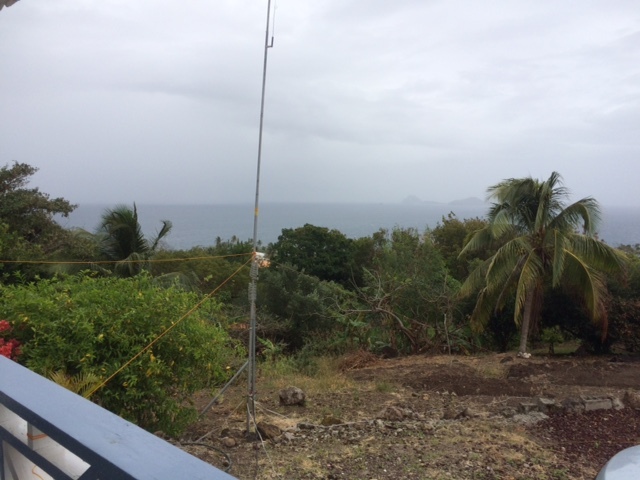 The site is screened to the south-west and not many VKs/ZLs were worked except for an exceptional 15m long path QSO with VK6LW ( and report from JA noted the same opening). To VE/G etc the path is a clear shot over the sea below and I have had reports that the signal was very strong for a 100w simple station. I had some keyer problems on 10m which chopped up the signal somewhat (traced to interference on the CAT interface). Trouble is its difficult to find that sort of problem when you test everything at home in ideal conditions. 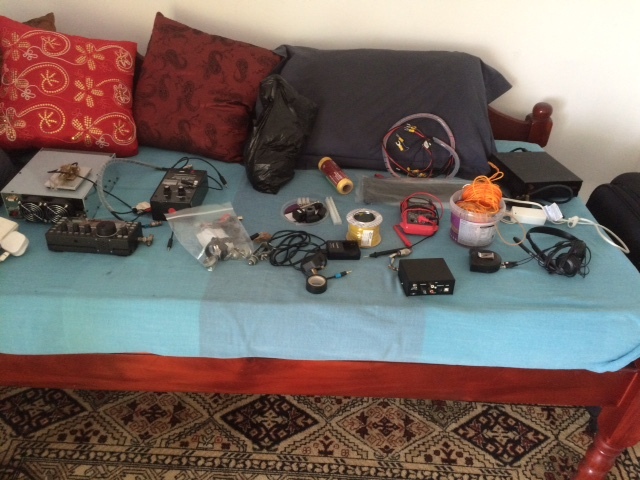 I had no problems with the KX3 or the amplifier overheating despite the temperature , 28-32C,. I followed my usual strategy, moving HF as the bands opened and QSYing as many call areas as often as I could. It was pretty evident that this year the VE Teams had decided that this was going to be their year to topple the VKs. I can’t ever recall having three different VY2 stations on but I still didn’t manage to find a VY1 or a VE8. I only worked two ZS stations so the impact of the Africa DX contest seemed to be limited, they might have all been on SSB. And I manged to make it with Nick, 5Z4LS, though he gave me a bigger serial than I gave him! And many thanks to Joe, 7Q7BP, for three bonuses and to 9J2BO. I couldn’t crack the 7QAA pile up, however, or the VP2V one either later on. But I was really pleased to catch Dom, C5/M1KTA, twice who was QRP but with the seapath between us a good clear signal despite the QRM at his end. When I went to 40 later on in the evening it was clear that propagation was different to 2014 as all I could hear were Gs and very few EUs, a real blessing. But at the same time very few Commonwealth DX stations either. Plenty of VE activity throughout the night enabled me a catch up and overtake with Mike at VP9/G3VYI. I managed to stay awake, one of the only advantages of age insomnia. By 09:00 Sunday the bands had died out completely or only contained people I had worked so I called it a day and went to bed for a bit. In summary the Win Test ( no problems as usual) band plot shows my pattern of activity, with almost 20 hours of operating. So thanks to all for the QSOs and especially for those who came on to work a bit of DX and give out some bonuses. And thanks to DJ and Harriet for putting up the strange requirements of their first radio amateur visitor. I am sure it wont be the last. The Heights is a really good site and would be very good for 6m tests to Europe etc. Thanks again to Derek, J35X, for sorting out the licence renewal and to Sean Francis and Carla English at NTRC for the admin. 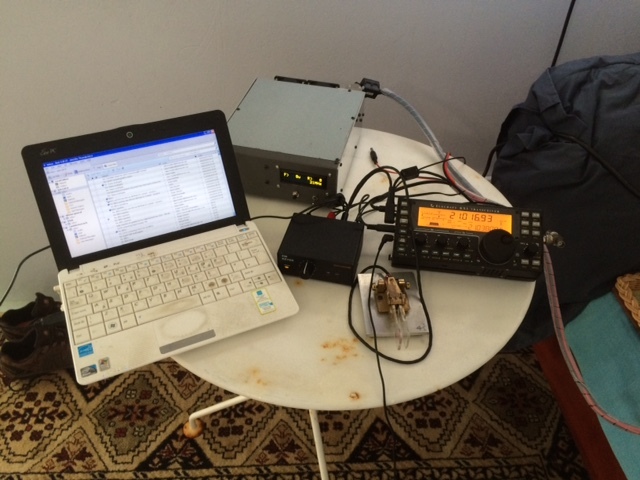 We then moved to a second site for a bit of relaxation and some DXpedition operating. See J34G Part 2.